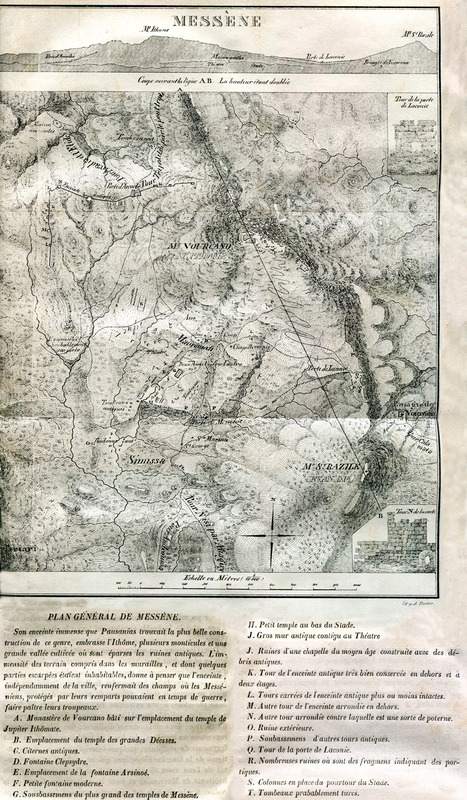 ALDENHOVEN, Ferdinand. 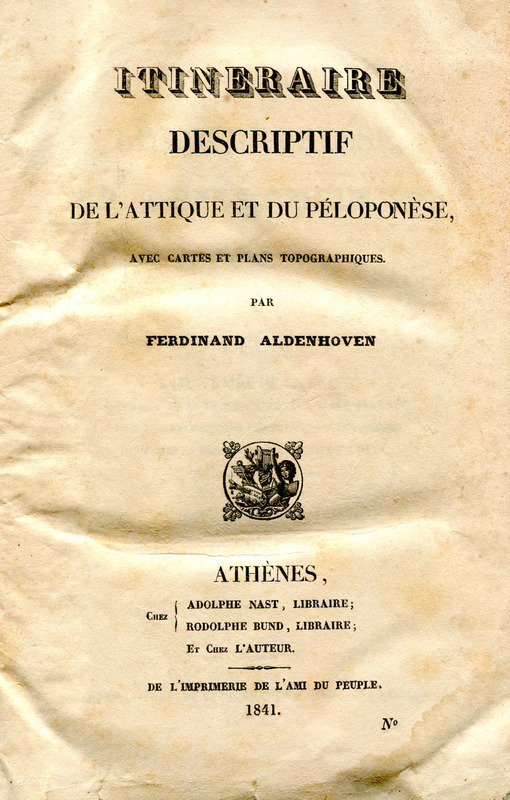 Itineraire descriptif de l'Attique et du Péloponèse, avec cartes et plans topographiques, Athens, Adolphe Nast, Rodolphe Bund et l'auteur, 1841. Ferdinand Aldenhoven was an army officer, topographer and engineer from Köln. He must have arrived in Greece with King Otto and his Bavarian court, and probably stayed in Greece for approximately ten years. 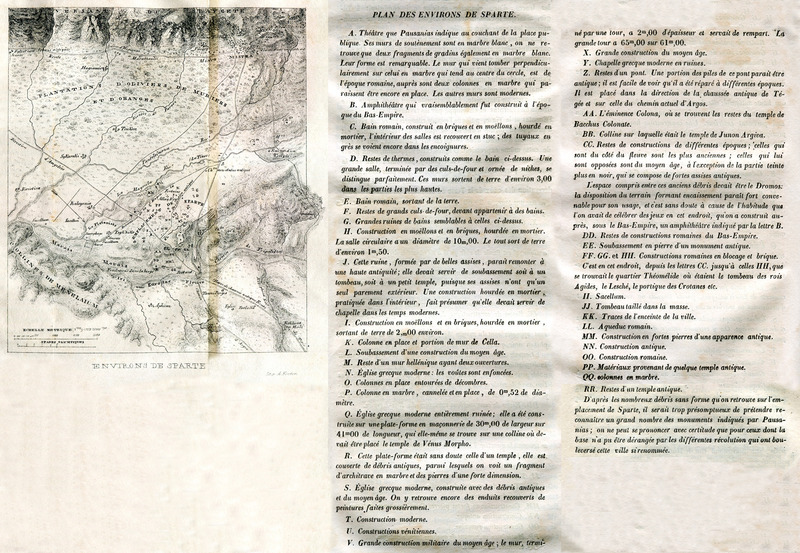 While in Athens, he published a road map of the Peloponnese, and a road index with descriptions in French (1841). 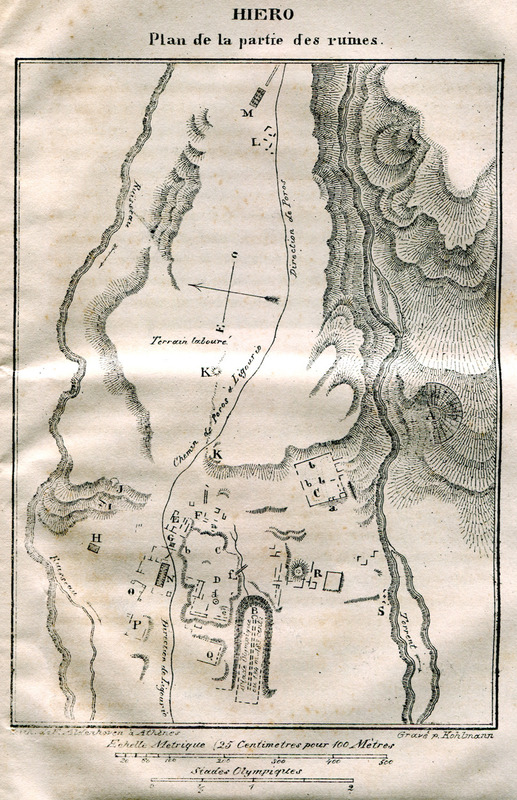 A topographic plan of Athens, etched by A. Forster (1837) and explanatory notes to F. Stademann's “Panorama”, both by Aldenhoven, were printed in Munich. 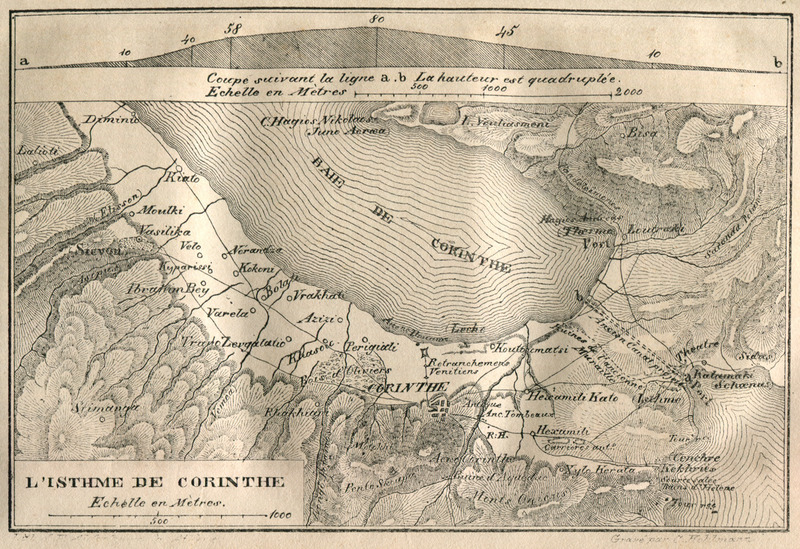 Topographical map of the Ishtmus of Corinth. 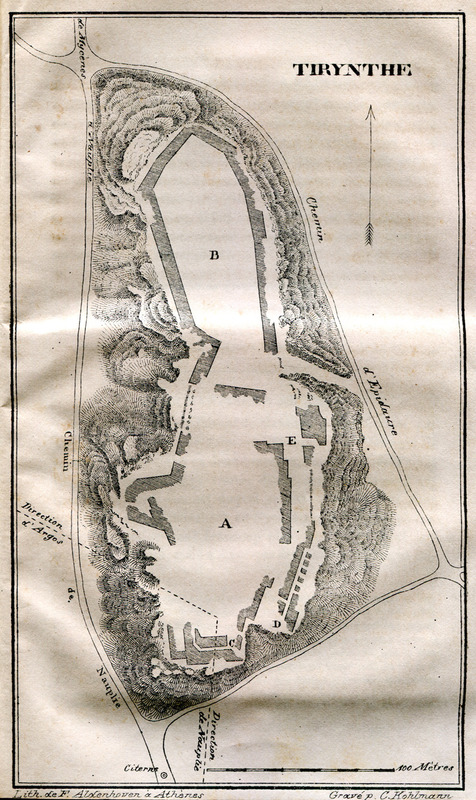 Map of Sicyon, ancient city in Corinthia. 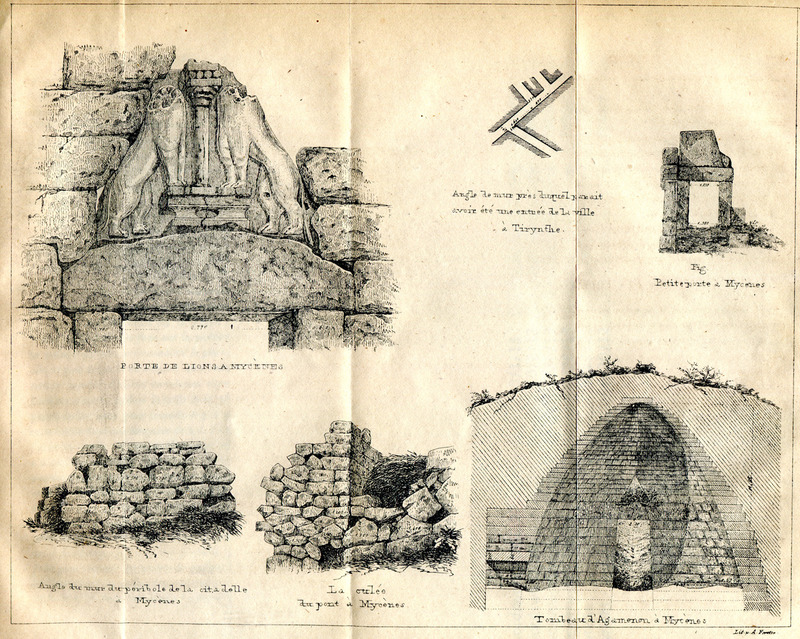 Map of Olympia and drawings of ruins in Olympia. 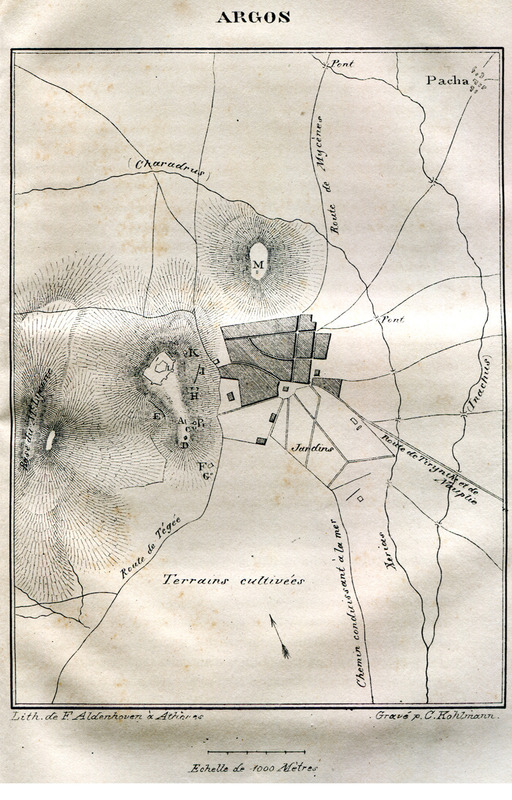 Topographical map of ancient Messene. 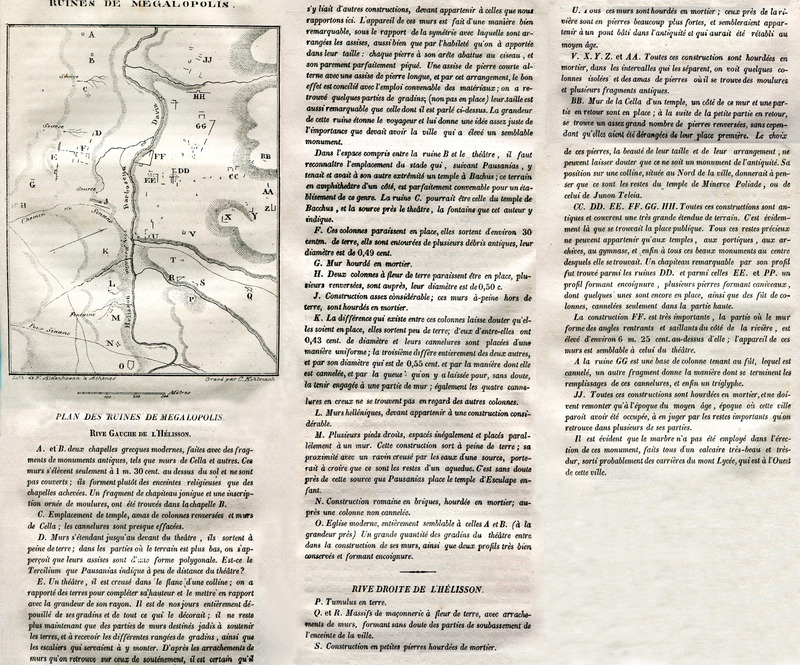 Topographical map of Lepreon, ancient city in southern Triphylia in Elis. 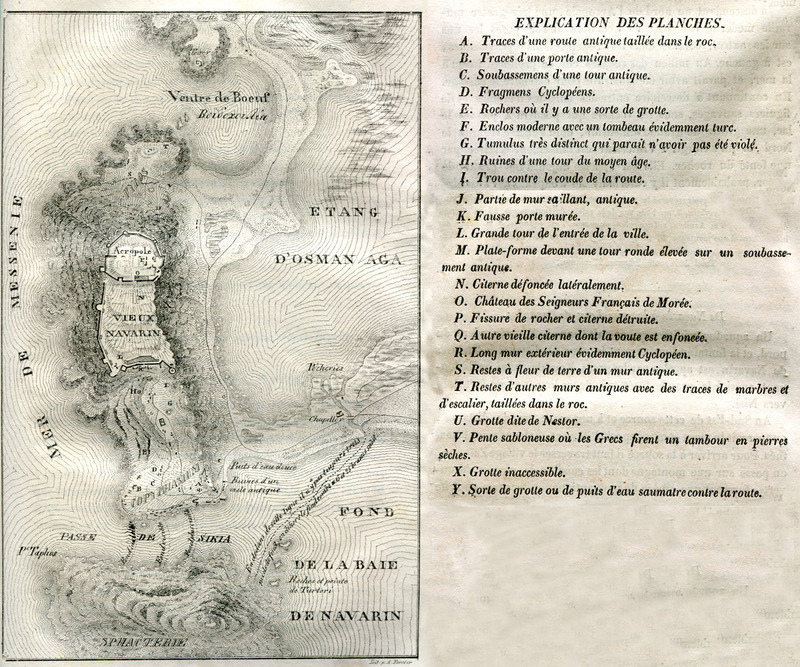 Topographical map of Samicon, the area of the ancient city called Makistos, Arene and Samia, Samicon or Samos. 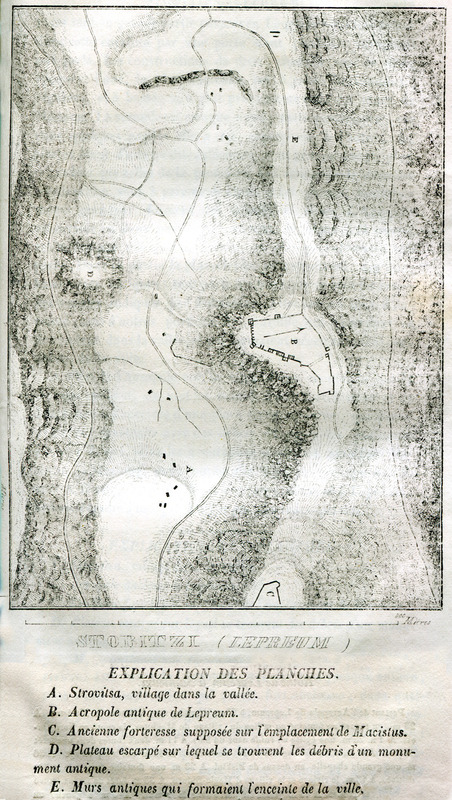 Topographical map of Gortyna in Arcadia. Topographical map of Mount Lykaion in Arcadia, showing the site of the Hippodrome where the Lycaean Games took place. 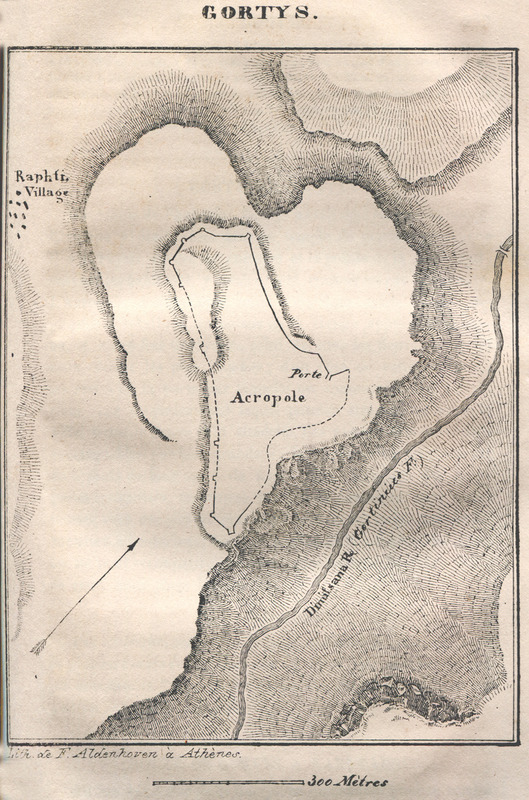 Topographical map of ancient Phigaleia in Arcadia. 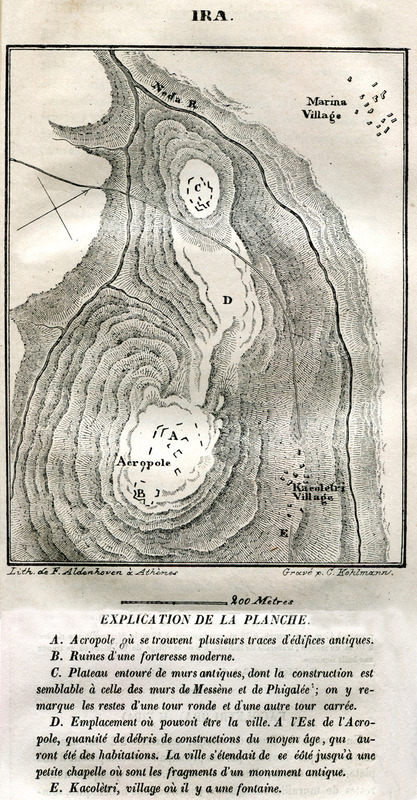 Topographical map of Alipheira, ancient city in Elis. 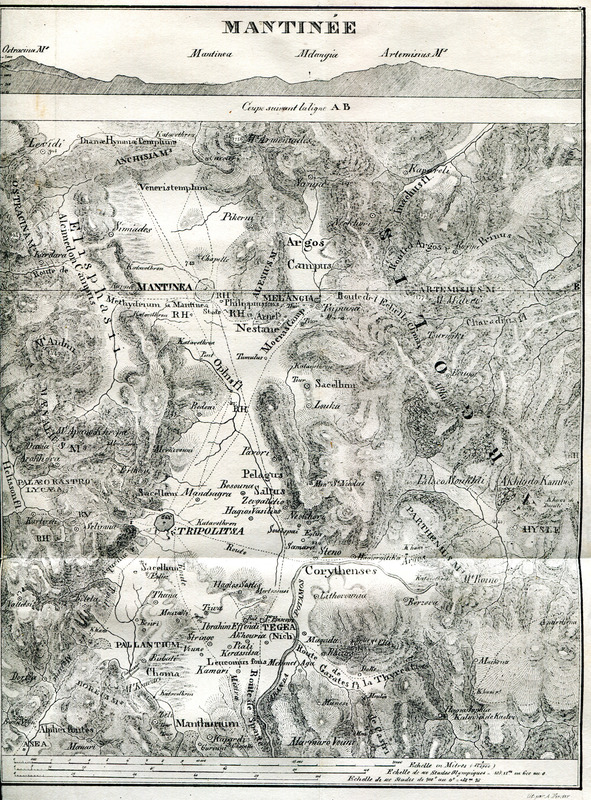 Topographical map of Megalopolis. .
Topographical map of Mantineia, province of Arcadia. 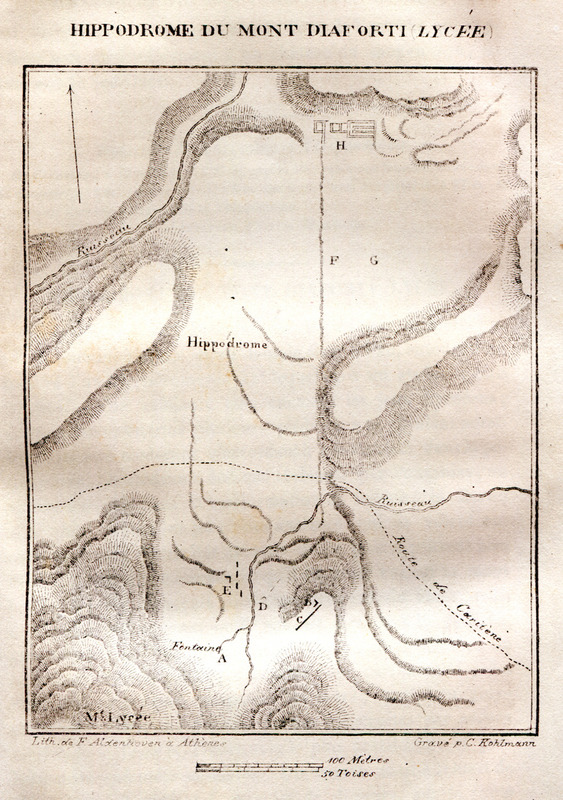 Topographical map of the area surrounding Sparta. 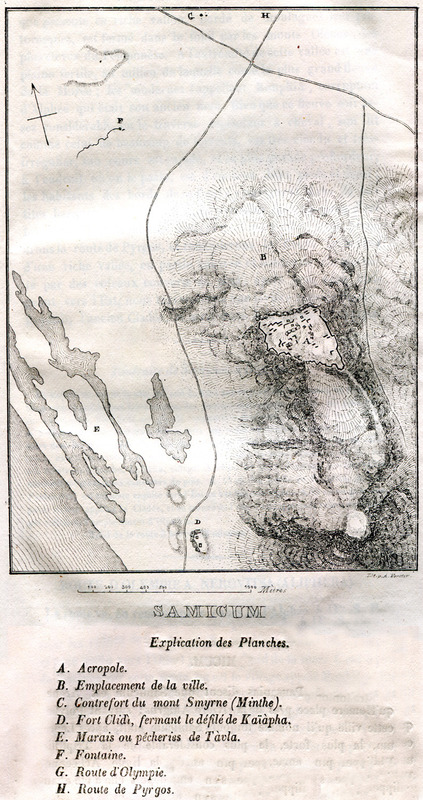 Topographical map of the ancient city Zarax (Zarakas) at the bay of Gerakas in Lakonia. Topographical map of ancient Tiryns. 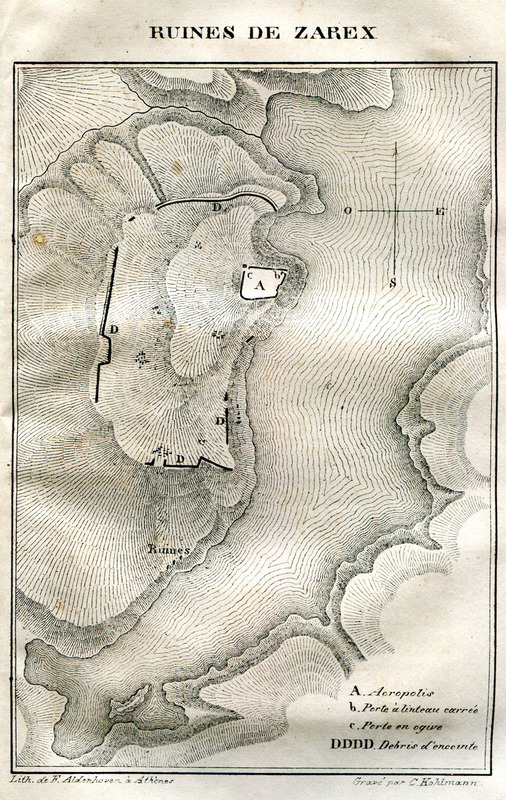 Topographical map of the Asclepeion in Epidaurus. 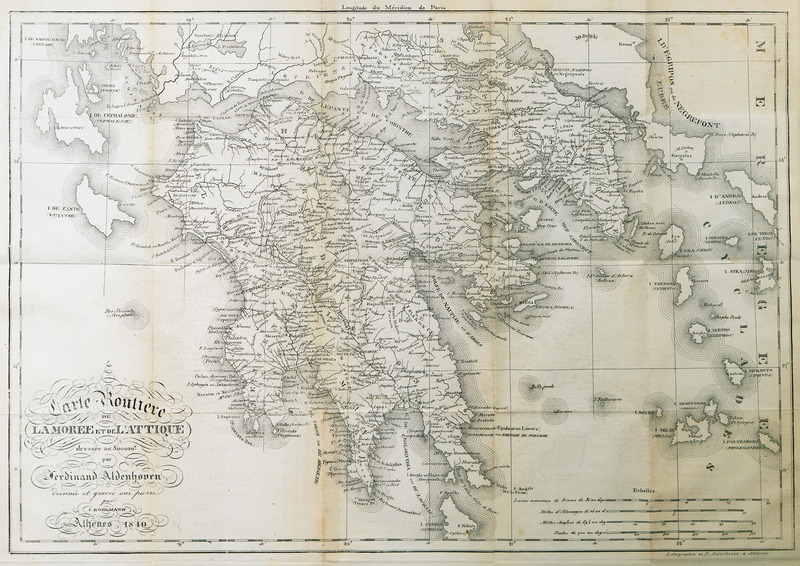 Map of Attica and the Peloponnese.